More variants than an ice cream parlour here’s the next colour/taste! 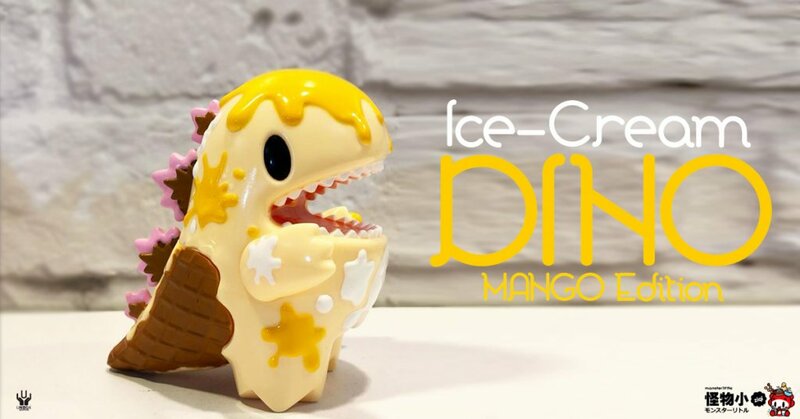 Mango Ice Cream Dino by Monster Little Ziqi x Nonworld x Unbox Industries. Ziqi’s fans have spoken and chosen the next release to be this Ice Cream Dino Mango edition. Another lickable colour combo and the best news is its ready for a release this Saturday! So there’s good news and bad news. Heres the good news, if you are based or have contacts in China Shenzhen you’ll be the first to own one. The bad news is, no official word if Unbox will release the Mango online for collectors who can’t make it. We will update you as soon as possible. Stay tuned.